If I was to ask you what your biggest barrier was to being able to travel would your answer be money? There is no denying that travelling can be expensive and trying to save some money these days can be damn hard. But if you really want to be able to travel, with a little bit of clever budgeting and planning I think it is possible to be able to Save Money To Travel. Now I am NOT a Financial Adviser. I am just one half of an average Aussie couple. So please don’t rush off and implement all my ideas without seeking professional advice first. Think about your current circumstances and whether any of my suggestions might be achievable for you. What suits one person may not suit another. With that in mind, here are a few ideas of things you could try so you too can save money to travel. Now I know this is a controversial one but it is something you COULD consider. I think that you would have to take into consideration things like how much you owe versus how much the house is worth. If you were only going to come out of it with a small amount of cash then it may not be worth it. Also if you sold your house would the rent be cheaper than your mortgage payments were? There is no doubt that renting can be cheaper as you don’t have mortgage repayments, rates and building insurance to worry about or maintenance. In our case, our mortgage payments are cheaper than rent in the area we live in but that is because we had a second house which we sold in 2015 and we paid the mortgage down on the house we currently live in. 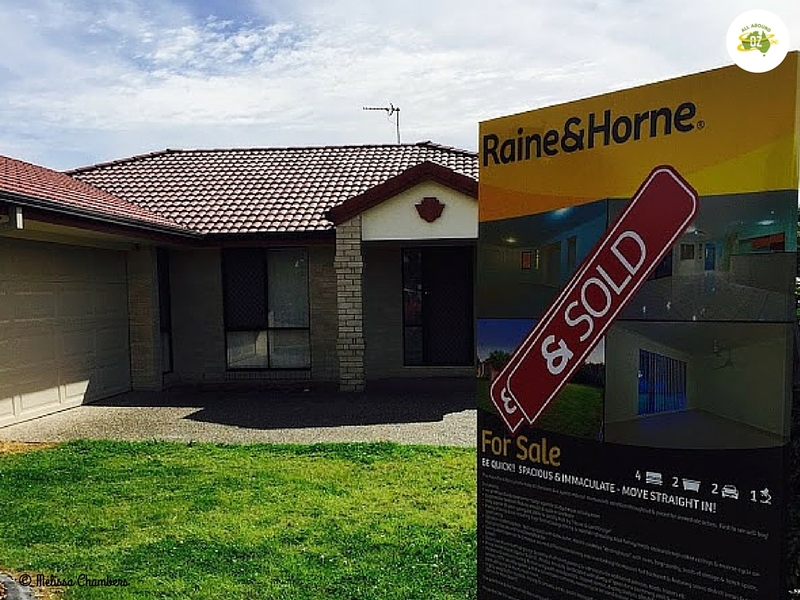 Selling our second house was all part of our Planning for the Future strategy. If you don’t want to sell your house then you can always look at refinancing your loan to get a better deal. We have banked with ING for over seven years – long before The Barefoot Investor recommended them. We were able to negotiate a lower rate on our home loan simply by asking. Of course if you do decide to sell your house, make sure you invest the proceeds wisely! We sold our second house to reduce debt and ultimately have more money to travel with. Downsizing your current home could be another option to save you some money. It may be the case that you are renting a large four-bedroom family home. Could you manage in a three-bedroom townhouse for a year? On the Gold Coast, for example, this strategy could save you around $200 a week. Having a smaller property can mean cheaper insurance, with an added bonus of less to maintain. Live in any capital city and I think you will agree that rents are astronomical! But hunt around and you can find suburbs that are less expensive to live in. Of course it may not save you money if it means you have to travel further for work or to take the kids to school. So again it’s an option that you could explore. ALREADY HAVE A CARAVAN? THEN LIVE IN IT! I know quite a few travelling families who moved into their caravan and parked it at a family members home. This would be a great way to save money prior to travelling. Even if you were able to find a caravan park that would accept long term stays, this could still make this proposition viable. For example I could live in a Gold Coast Hinterland caravan park for $280 a week. I would never be able to rent a home that cheaply here. Living in your van before you travel may help you save money. Can you survive on one wage? If you both work is it possible to save the lower wage for example? Working on a wage of say $450 a week, after 12 months you would have $23,400. Now this may not work for everyone as I know that many people out there rely on both wages to survive but if it is possible it’s worth giving it a go. Even if you can only afford a small amount each week give it a try. The incentive is seeing the account balance go up each week. Finding one job can be tough, let alone finding a second one! But it is possible. Or perhaps you have a hobby that you could turn into a business? Maybe you could just offer to take on some extra shifts at work. Sometimes all you need to do is ask. Do you have a spare room at your house? If you do, this can be a great way to make a few extra dollars. If you live close to a university, for example, there are always students looking for places to live and you can easily make some extra cash by doing this. This is something we have already done when we rented out a room to a friend of Miss Oz’s earlier in 2018. Or why not consider signing up to AirBnB? AirBnB is one of the fastest growing accommodation booking services in the world. I myself have had two fantastic stays in AirBnB’s and I wish I had a spare room in our home. AirBnB is one way you could make some extra money to fulfill your travel dreams. To avoid this wastage either freeze your leftovers or take it to work with you for lunch the next day. Taking your lunch to work each day will save you a fortune over the course of a year. If, for example, you have cold meat that might not last for another day use it to make toasted sandwiches for dinner. If you have fruit that is going to spoil do a fruit platter for the kids when they get home from school. Even Miss Oz who is almost 20 will polish off a plate of fruit if it is already cut up for her! To save money when food shopping try and make a meal plan and then a shopping list before you go. Check the weekly catalogues for things that are on special and buy generic brands for your staples like flour and sugar. How often do you eat out or get take away? Do you have a daily coffee habit? Generally we don’t eat out very often unless it’s a birthday or another special occasion. We all like to cook so we will make something a bit different at home if we can. Frequently eating out or getting take away really adds up after awhile. Even that daily coffee can be a big drain on your finances. 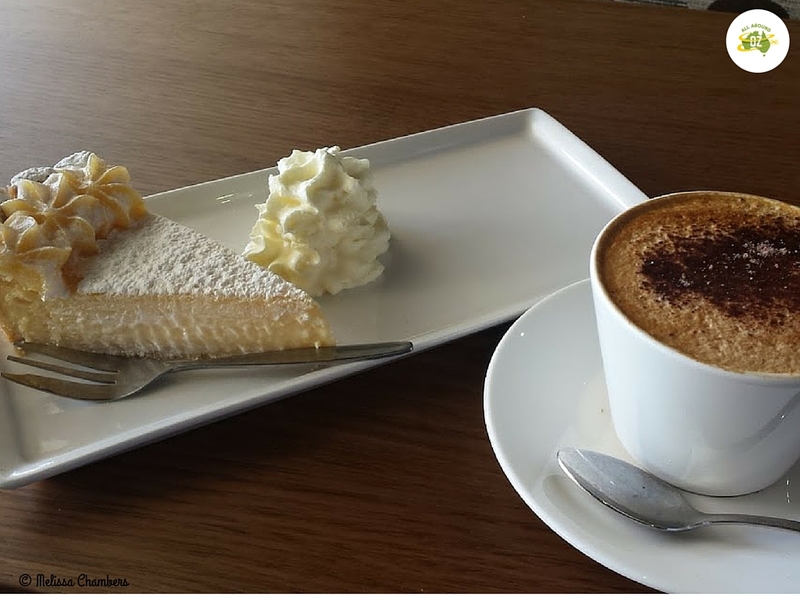 At somewhere around the $5.00 mark for a regular cappuccino that becomes $25.00 a week or around $1200.00 a year just on take-away coffee. I try to keep to one coffee a week when I catch up with my girlfriends. Limiting the amount of times you eat out to special occasions can save you a heap of money. Hands up if you love a beer or a wine? I know I do but if you’re trying to save money it can get mighty expensive to indulge in a few. Generally, I don’t drink when Brenden is away at work. Instead I wait until he is home so we can sit down and enjoy a drink and relax together. That way, I might only consume one bottle of wine a fortnight instead of two. I also try to avoid buying bottle water by filling a water bottle at home before I leave to go out anywhere. We are very fortunate here in Australia that we can drink the water straight from our taps without the need to filter it or boil it first. Of course if you are wanting to avoid chemicals, such as fluoride that may be in the water you can use a home water filter. Do you have a shed full of stuff that you never use? Or cupboards of clothes that you never wear? Old kids toys and equipment? Then why not sell them. There are countless ways to off load your old stuff and countless people who are willing to pay for it. We have had great success with Gumtree where it is free to list your item and people can narrow down their search to your local area. eBay is another good one although the fees for it are getting very expensive so if the aim of the game is to save money you might want to avoid this one. Marketplace on Facebook is also becoming hugely popular and at this stage it is still free to use. You could also consider holding a garage sale if you have lots of stuff. Car boot sales and local markets are also other good places to try your luck. I know for a fact that camping gear sells well but don’t dismiss those old vinyl records and C.D’s you have laying around. I have personally made good money off these kind of things. We all like to look nice for work or for when we go out but realistically how many clothes do we really need? In the last 12 months I have tried really hard to only buy clothes when something has worn out. If you have kids that are growing rapidly try your local op shop as a cheap alternative. They are a great place to source clothes for wearing for kindy or camping where they are likely to get dirty anyway. I’m not adverse to picking up the odd bargain at an op shop either. 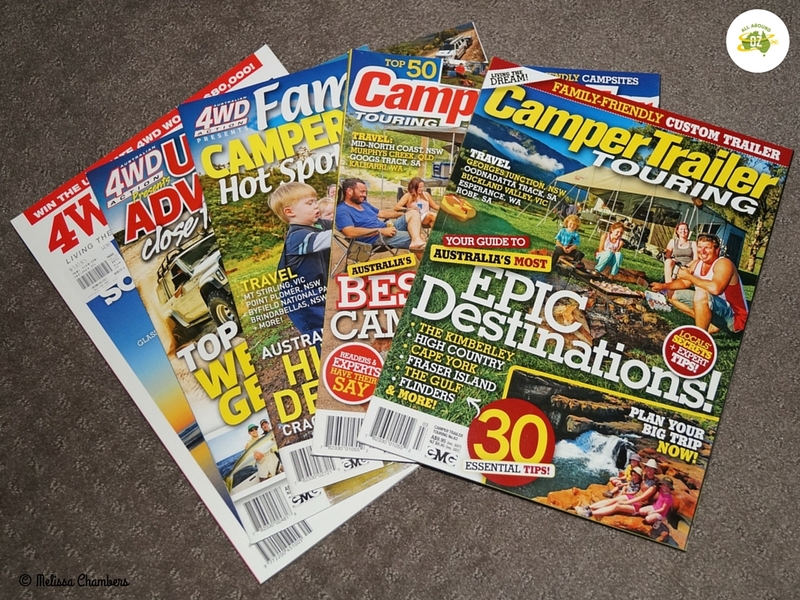 I love to read both books and camping magazines but to buy them is so expensive. Luckily our local library has a good selection of both and this saves me a lot of money. If you do own a few books, try swapping them with friends or look for a book exchange. The other thing I don’t ever buy are DVD’s. With so many free to air TV channels now there is always a movie on somewhere. We do however have Netflix which at $17 a month works out cheaper than going out to the movies and is a cheaper option than Foxtel or Austar. Buying magazines can become very expensive when most of them are close to $10 each. Insurance I think is a necessary evil but I wouldn’t be without it. We have car, house, health and life insurance. Having as many of your policies with one company as possible will save you money. For example, we have our house, contents,vehicle and road side assist with RACQ for which we receive a decent multi policy discount. We also recently changed who we have our health insurance with and saved about $40 a month. Consider your personal circumstances before making any changes. Love them or hate them they are handy things. We have always had one that was a rewards card as well. Over the years the points went from 1.5 per dollar spent to 1 point and then they capped it at $2000. The higher interest rate we were paying for the ‘privilege’ of having the rewards points wasn’t worth it so we switched to a low-rate Mastercard. Shortly after doing this we discovered that ING had introduced a VISA card and at 11.99% we thought it was a pretty good deal. We also like the idea of having everything with the one bank. It will certainly make life easier on the road. I’m sure there are many other creative ways that you can save money to travel. How do you Save Money to Travel? Interesting. Thanks for sharing this tips about “Ways to Save Money to Travel”. Great post Melissa. We empty the coins out of our wallet every day and save them. It’s surprising how quickly they add up. Yes….coins sure add up quickly. Especially the gold ones! These are very good money saving ideas, but I don’t think I would ever sell my home to travel. I do Airbnb for two rooms in my house and that money is my travel fund. However you need to wait until the kids leave home before you start letting rooms out. I agree that we all have too much junk piling up around our homes and I think it is a great idea to sell it on Gumtree or have a garage sale. We don’t know where we will actually settle when we finish travelling and as we only have a very small family we won’t need a big place. So for us selling this house isn’t an issue. Great tips Melissa. I’ve recently had a clear out and have been selling on eBay and had a garage sale. I also save my $5 notes – I put them into a tin where I can’t retrieve them (until it’s full and I break it open). Thanks Lyndall……I like your $5.00 note tip. I’d just have to hide them from the kids first! You know I’m the world’s biggest travel fan! My last two weeks of posts have been Vegas reviews. The way we save money is that we sell stuff on EBay. I guess you could say my husband takes a “second job” to pay for our travel I suppose. The kids also have EBay stores and they buy cheap stuff from Trash and Treasure markets then resell on EBay (with Dad’s help of course). It definitely works for us! I really believe travel is a great way to age positively. More great ideas Leanne – thank you! I did see you were in Vegas and I was more than just a little jealous! Thanks for this list, it’s always good to challenge yourself on expenditure. I tend to think we do quite well – we’re already doing a lot of things on the list, however our spending has crept up recently and I need to get a handle on it. I’ve been lazy about selling some clothes I no longer wear, and we’ve been eating out a bit as well. That needs to change! Yes it’s always a challenge isn’t it! I must admit I found a ‘must have’ top at the shops the other day but I did bank my pay this week again. I am selling all my baby stuff on gumtree at the moment. It is nice having some extra cash that I am putting in our holiday fund. Great idea Anne. It’s surprising how quick it adds up!